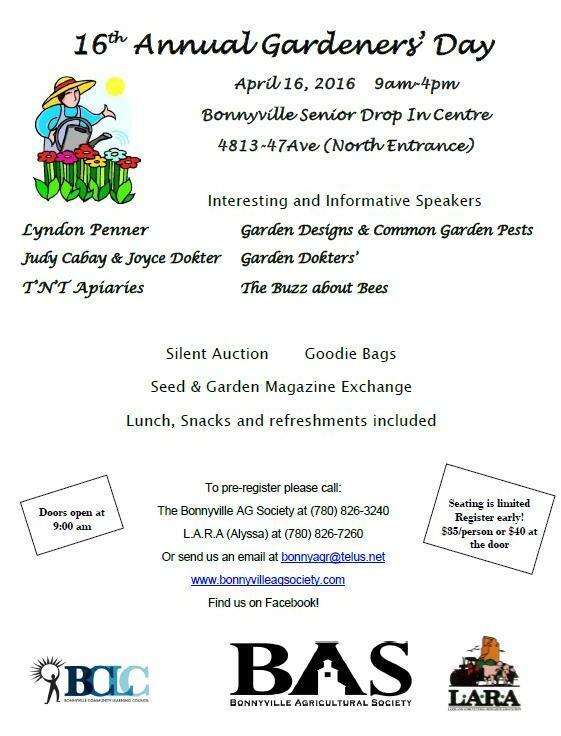 Thriving in Hard Times event, May 7 2016, 10am Bonnyville Seniors Drop-In Centre. In this economic downturn we are pleased to partner with other local agencies to bring this event to the community. Lots of advice and support for those families looking to thrive during hard times. This event will feature a presentation by Jason Jones who was recently on Global TV speaking about the impact of this downturn on our state of mind. Also tips from our local Credit Union, Yoga for You, the Rural AB Business Centre, and a “Men at Risk” presentation. Also available: have your resume reviewed by a professional. Please attend. 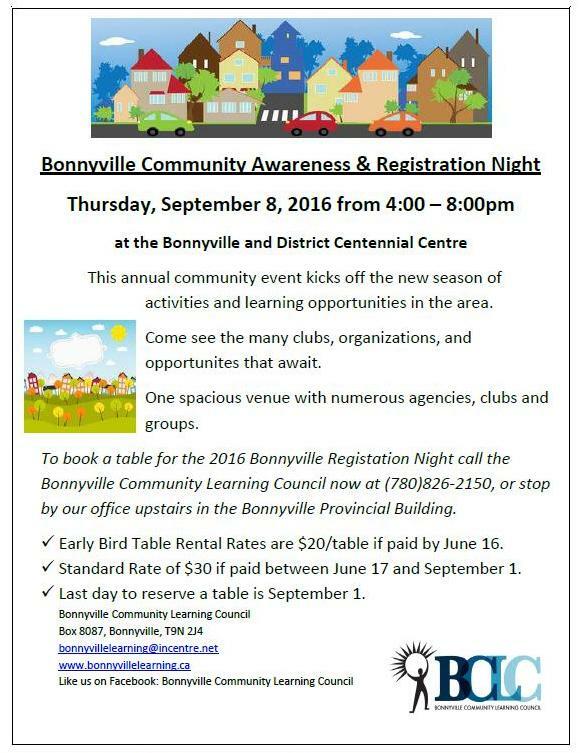 Book your table before June 16 for the 2016 Bonnyville Community Awareness & Registration Night. Mark your calendars for September 8, 2016 to attend this great community event. Reminder — we are taking registrations for our last two courses before the summer break. St. John’s Ambulance First Aid Training, April 27 and 28, 2016. Cost $125, or if you volunteer somewhere the cost is only $25. 2. Canadian Firearms Safety Courses, for Restricted and Non-Restricted weapons. May 13-15, 2016, Non-Restricted $185, Restricted $285. Hope to see you at Gardeners’ Day, Saturday April 16, 2016.